Have you ever imagined a place where Vulcans and vampires get along? Where wizards and wookies can be themselves? Welcome to Comic-Con San Diego. What started as a fringe comic book convention for 500 fans has grown into the pop culture event of the year that influences every form of entertainment, now attended by over 140,000 strong. 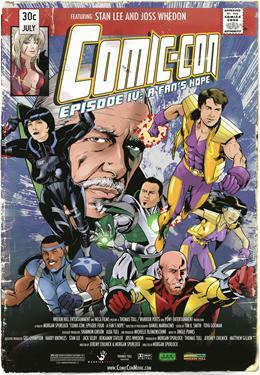 The film explores this amazing cultural phenomenon by following the lives of five attendees as they descend upon the ultimate geek mecca at San Diego Comic-Con 2010.